One of the world’s leading experts on the law respecting targeted killing, O’Connell is author of “What Is War?” and “The Power and Purpose of International Law.” She has testified before Congress numerous times on drones, and again will help clarify the law regarding the Constitutional and human right to life in war and peace. O’Connell’s full testimony is available here. “All human beings possess the right to life, which is protected in the Fifth Amendment to the U.S. Constitution,” O’Connell states in her testimony. “‘No person shall be deprived of life, liberty or property, without due process of law.’ The United States committed to the same duty to protect life when it joined the International Civil and Political Rights Covenant. O’Connell points out that some loss of life may be justified. “In peacetime, a state may take a human life when ‘absolutely necessary in the defense of persons from unlawful violence.’ Police and other authorized agents of the state may resort to lethal force to save a life immediately or to apprehend a highly dangerous individual who resists arrest. “During an armed conflict, troops will not face criminal charges for killing enemy fighters, so long as they respect the law of armed conflict, including that civilians never be intentionally targeted unless and only for such time as the civilian takes direct part in armed conflict hostilities,” O’Connell clarifies. For five years, O’Connell chaired the International Law Association’s Committee on the Use of Force, which defined armed conflict as always having at least two minimum characteristics, including the presence of organized armed groups engaged in intense inter-group fighting within limited combat zones. O’Connell says it is only in such zones that killing enemy combatants is permissible. President Barack Obama, meanwhile, will speak Thursday (May 23) at the National Defense University on the rules his administration has developed regarding killing with drones. 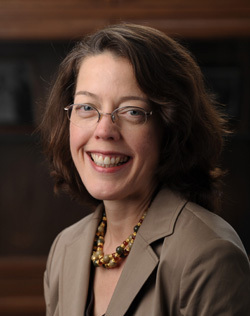 O’Connell is vice president of the American Society of International Law. Her areas of specialty are international legal regulation of the use of force and conflict and dispute resolution. Originally published by Shannon Chapla at news.nd.edu on May 22, 2013.